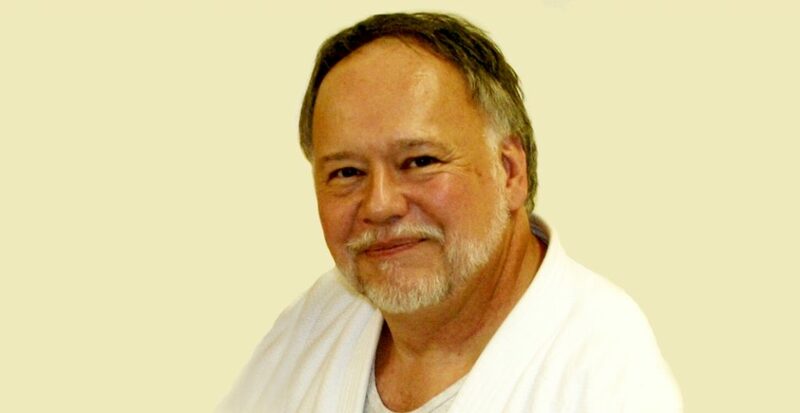 Steve Scott started training in the sport of judo in 1965 and was introduced to sambo in 1976. He holds high rank in both Kodokan Judo and Shingitai Jujitsu and is a member of the United States Sambo Association’s Hall of Fame. He is the head coach of the Welcome Mat Judo, Jujitsu and Sambo Club in Kansas City, Missouri. A graduate of the University of Missouri-Kansas City, he is the director of the community center where his sambo, judo and jujitsu training center is located. He is married to Becky Scott, an accomplished athlete in both sambo and judo and a World and Pan American Games Sambo Champion. Not surprisingly, the Scott’s met at a judo tournament. Starting his own club in 1969, Steve initially taught judo and jujitsu, then added sambo in 1976. His passion is teaching and he has trained thousands of people and promoted hundreds of tournaments in judo, sambo and sport jujitsu. Steve has personally coached 3 World Champions, 2 Pan American Games Champions and 58 National AAU Champions in the sport of sambo. He has also developed numerous judo champions at his Welcome Mat training center, including a member of the 1996 U.S. Olympic Judo Team, almost 100 individual athletes who have won National Judo Championships and numerous athletes who have been members of official U.S. teams in international competition including the Word Championships, Pan American Championships, World University Games and other events. As an athlete, Steve competed in several AAU Sambo Nationals, winning gold twice and bronze once. He also won numerous regional and state sambo and judo championships in the Midwest and competed in numerous U.S. Judo Nationals. He served as the official U.S. Team Coach at the 1983 Pan American Games, where his women’s team won four gold medals and six silver medals, winning the team championship. This was the only time sambo was admitted as a sport in the quadrennial Pan American Games. Steve has also coached at the World Sombo Championships and at the World (under-21) Judo Championships on different occasions. He has trained, competed and coached In North America, South America, Europe and Japan. Steve Scott was introduced to sambo by one of his judo coaches, Ken Regennitter, who suggested he try this rugged form of jacket wrestling because of his natural affinity for submission holds. In 1976, Steve met Dr. Ivan Olsen, the National Chairman for the Amateur Athletic Union’s Sambo Committee, who became his mentor, as well as the mentor to many other sambo wrestlers and coaches. Steve Scott introduced sambo to the Midwest, when he promoted the first Missouri Valley AAU Sambo Championship in Kansas City, Missouri in 1977. He was one of the original founding members of the U.S. Sombo Association in 1985 and served as the Secretary for the National AAU Sambo Committee in the late 1970s and early 1980s. He also held the first National AAU Women’s Sambo Championships in 1980 and the first National AAU Youth Sambo Championships, also in 1980. Steve Scott is the author of COACHING ON THE MAT and co-author (along with Bill West) of SECRETS OF THE CROSS BODY ARMLOCK, and has a DVD of the same name on the market. He will soon have a new DVD on sambo released called SAMBO FOR THE COMBAT SPORT ATHLETE. You can reach Steve at www.WelcomeMatJudoClub.com.